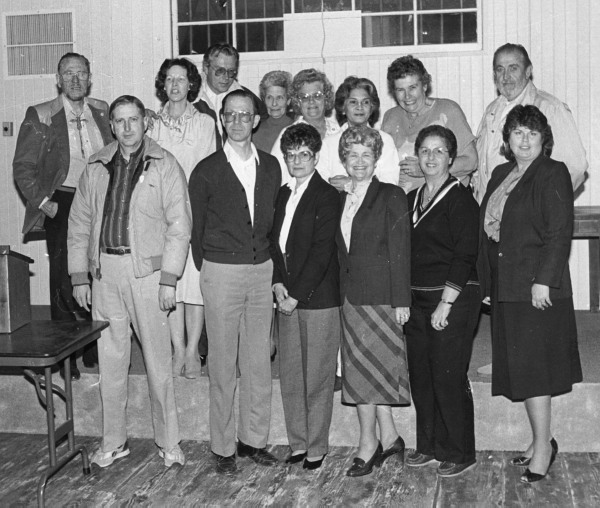 Santa Clarita Valley Historical Society: 1987 Board of Directors. BACK ROW: Max Mahan, Cynthia Neal-Harris, Jerry Reynolds, Kathy Lotts, Betty Evans, Anne Kaulbach, Mary Clement, Tom Mason. FRONT ROW: Tom Gildersleeve, Paul Kreutzer, Marie McNulty, Betty Pember, Laura Mehterian, Bette Tilch.